Arogyaniketana Ayurveda Ashrama is founded by Dr. Ashwin Sastry, he comes from a medical background. His father is Dr. K.G. Gurumurthy. His father is now retired and continues to assist at the clinic. The Sastry’s are a Brahmin family of Karnataka State. Ashwin was born in 1979. 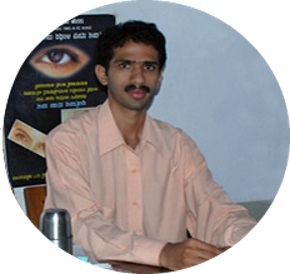 Dr. Ashwin graduated in Ayurvedic studies (BAMS) from the Rao Memorial Ayurvedic Medical College in Koppa, Karnataka. Studying Ayurveda, Yoga and Sanskrit at the college, he graduated after the required 5 1/2 years. In search of true Ayurvedic learning and understanding, Dr. Ashwin travelled to Kerala State where Ayurevda is widely practiced in social and medical fields. With the grace of God he was able to find a great guru in Vaidya Vallor Sankaran Namboodiri, then a robust 84 year old Vedic scholar! Vaidya Namboodiri, who now leads a life akin to sages, full of Satvik knowledge (true knowledge), is a master of many disciplines in Indian philosophy: Yajurveda, Ayurveda, Sanskrit and Vishachikitsa etc. 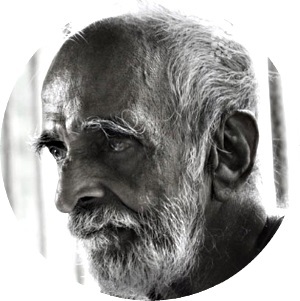 With his guru, Dr. Ashwin spent another 5 years studying the deeper secrets of Ayurveda, with emphasis on Astānga Hridaya, as well as other related aspects of Vedic philosophy. This was done in the traditional Gurukula system of teaching (method in which the disciple stays with the teacher and learns from him). This study changed his approach towards Ayurveda and eventually life itself. He was also fortunate to have the complete support of Dr. Raveendranath, Head of the Poonthottam Ayurvedashram Kerala, where he learnt the practical aspects of the science at this time. Additionally, with Dr Prasad, Sunetri Hospital, Kerala, Dr. Ashwin furthered his studies of practical approach to Ayurvedic foundational principles and Salakya Tantra (Ayurvedic Eye, E.N.T). Being at the Sreedareeyam Ayurvedic centre also helped him in experiencing interaction with thousands of patients complaining of Eye, E.N.T disorders. He spent another six months studying western ophthalmology under eye surgeon Dr. Chaitanya Savoor. In 2010 he also completed his C.R.A.V. Certification in Ayurvedic Opthamology (netra) from AYUSH dept of Government of India. Ashwin also has a fellowship F.A.G.E. from MAHE University. Following his Guru’s advice, Dr. Ashwin Sastry started his own centre, Arogyaniketana Ayurveda Ashrama in February 2007. Dr. Ashwin Sastry is striving hard to make the centre a role model to others and to keep aloft the science of Ayurveda and the ideals of his Gurus. In 2008, Dr. Ashwin married Ayurvedic Dr. Shubha A. Sastry. Dr. Shubha Sastry, BAMS, M.D, born to Satyanarayana H.K. and Seetamma in 1981, specialises in Rasashastra, a branch which deals with Ayurvedic mineral medicines. In addition to her specialization, Dr. Shubha also trained in traditional Panchakarma treatments in Kerala with Dr. Prasad, Sunetri Hospital. 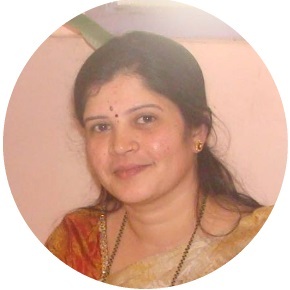 Dr. Shubha is currently Assistant Professor (Reader) for graduate and post graduate students at A.L.N. Rao Memorial Ayurvedic Medical College, where she did her BAMS. In 2009, at an International Ayurvedic seminar in Jaipur, Rajasthan, her research paper was awarded best presentation. During post graduation, her dissertation on Physico-Chemical Analysis and Antimicrobial Study of Rasaka Bhasma was selected for a scholarship by Central Council for Research in Ayurveda and Siddha (CCRAS). With her vision, the Centre will soon have a self sustaining manufacturing unit. At the centre, Dr. Shubha will also offer Ayurvedic Cooking Courses with Dr. Ashwin’s mother, Lalitha G Murthy. With the whole hearted support and hard work of Dr. Ashwin Sastry’s parents – Dr. Gurumurthy and Lalitha G Murthy , his brother Lieutenant Commander KG Abhiman and his wife Achala, the backbone of the centre (ashramam) stays strong.